In a moment of brilliance (or maybe just common sense long overdue), I decided to park in the Burnaby Library parking lot instead of the circular hell otherwise known as Crystal Mall. Yes, I know there have been many who have pleaded for me to do this so that I could maintain my sanity whilst shopping. So on my leisurely jaunt from the library, I walked past a new restaurant that caught my eye - Mr. Zhang Karaoke Restaurant. Okay, several things in the name made me ponder. First, Mr Zhang... Right, the same place that used to be on Victoria Drive. Second, Karaoke Restaurant??? Okay if they say so... Well, the very next week, I suggested to the family that we go try it out. And just like the previous week, I once again parked at the library. So peaceful... No congestion, no pie shaped parking spots, no one stealing my spot and most importantly, no Corolla taking 10 minutes to park. As I walked into the restaurant, the one thing that I immediately noticed was the extremely tight seating arrangements for the larger tables. You either have to be really thin or like to be squashed against a wall. For us, we just let the kids sit in those spots. 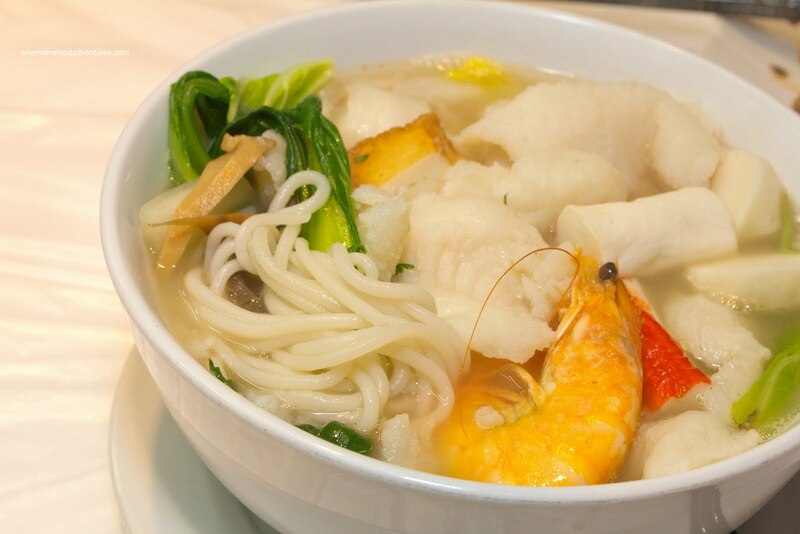 And for the kiddies, we got them an order of the Seafood Rice Noodles in soup. This was a pretty large portion consisting of perfectly al dente noodles. There was plenty of ingredients consisting of basa, imitation crab, fish tofu and one prawn. I liked the soup base since it took on all of the seafood flavour and as a result was naturally sweet. 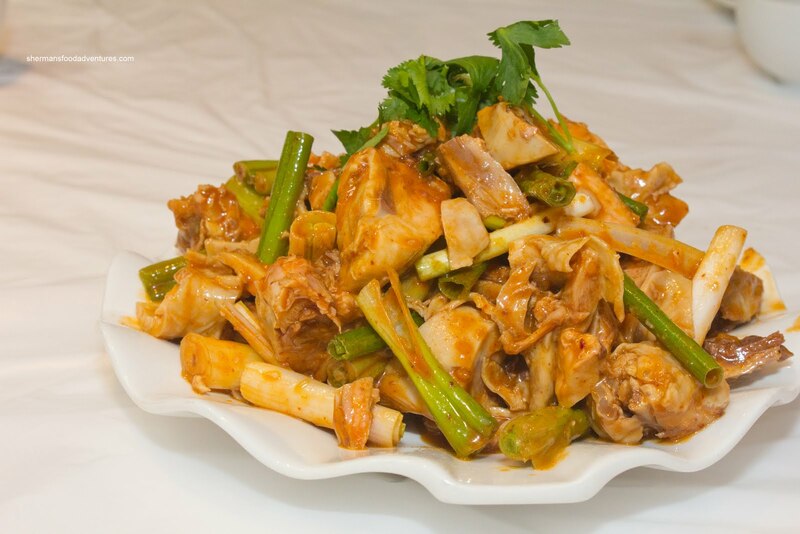 Since the place is a Szechuan joint, we decided to go for some spicy items starting with the Szechuan Chicken in Spicy Sauce. Arriving piled high and doused with a peanut-based sauce, we felt this was good value. Despite being whole pieces of chicken with bone attached, it wasn't terribly hard to eat. The chicken itself was not dry and with the addition of the sauce, it was actually quite moist. We would've liked to see more heat, yet it was still a well-balanced dish. Now I realize that a Szechaun restaurant is not the best place to order Xiao Long Bao. However, I had read a review on Yelp! that stated the ones here were pretty good. OMG. I should've taken that review with a grain of salt. Heck, I should've grabbed the whole box of Windsor. These had barely any broth while the gritty filling had far too much in the way of greens (flavour was okay though being meaty). The dumpling skin was somewhat thick at the top as well. I'll give them the benefit of the doubt though because they are not a Shanghainese restaurant. With marginal XLBs, we weren't holding out much hope for the Potstickers. 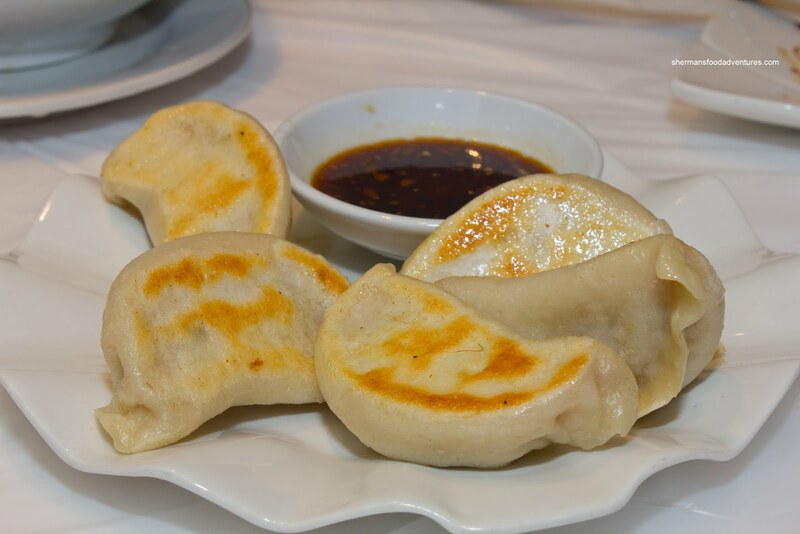 Although our suspicions were pretty much correct, I found them to be relatively better than the XLBs. The dumpling skin was on the thicker side while not overly so. The filling was once again full of greens, but it wasn't so much an issue here since it works better with a potsticker than an XLB. One other thing that I personally didn't care for was their sweet black vinegar. It goes well with steamed crab, but not dumplings. 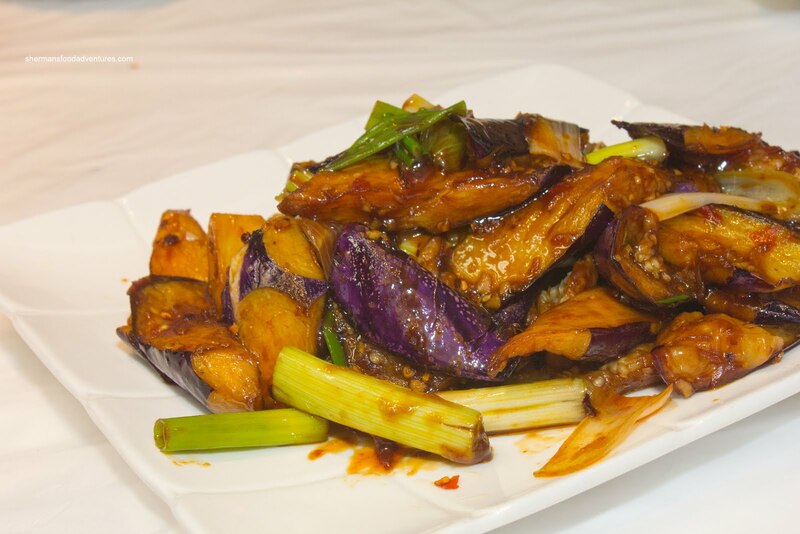 Now back to a Szechuan dish in the Eggplant with Spicy Sour Sauce. And like just on cue, this was good. Hmmm... Szechuan dish good in a Szechuan restaurant... The eggplant was oil-blanched perfectly being soft, yet not mushy. Despite the oil-blanching, the dish wasn't overly greasy though. We found the sauce to be a good mix of salty, sweet, tangy and spicy (although once again, we could've done with more heat). They asked if we needed a bowl of rice to go with it and really we should've had order to take advantage of the good flavours. 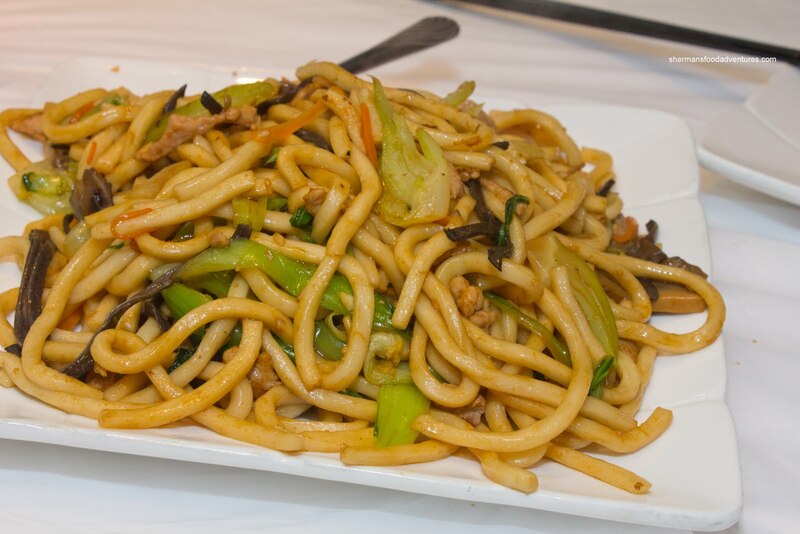 However, we didn't because we had already ordered the House Special Chow Mein. Don't let the simplicity of the dish fool you, the flavours were good. Moreover, the noodles were al dente and the crunch from the veggies really worked. Generally, most of the food did work out except for the 2 Shanghainese dishes. That is forgivable since those are not their specialty. 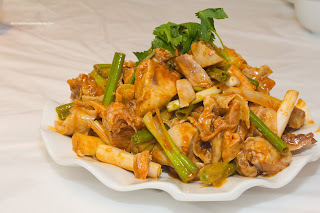 Therefore, if you order the right dishes, it can be a good experience at Mr Zhang's. Not sure about the karaoke though! However, I had read a review on Yelp! that stated the ones here were pretty good. I think the fact it is Yelp should have been an indicator! I passed by this place quite often but never went it. Could it be because of the exterior? Or the fact it is "easier" for a single diner to go upstairs to the food court? But, hey, good to know it wasn't a total fail! @KimHo Yup, the Yelp! review is what I was referring to. The XLBs here are not great. My parents, who know their XLBs concurred. Unless that individual had better ones than I have, they have nothing on the ones you can get in Richmond. The other food was decent though. How was the selection of Sichuan items here? Mr Zhang's on Victoria Dr was not great - but they did have some servicable Sichuan food. I don't really know why the Yelper would order an XLB here. There are now three full-service restaurants that serve spicy Chinese right in that mall. This place, S&W Pepperhouse (Guizhou/Sichuan), and Meishan (Sichuan). 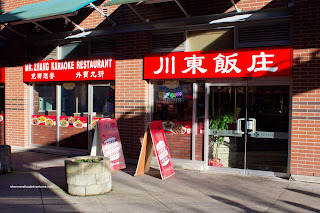 Then add the Sichuan and Guizhou stalls in the foodcourt.....and Alvin Garden (Hunan); Hot Luck (Sichuan Hotpot) and Szechuan House just around the corner...and down the road on Kingsway: Spicy Legend (Sichuan Hotpot); and Lucky Noodle (Hunan - really good). This zone has become the epicenter of spicy Chinese food in all of Metro Van. Is this place the resurrected Mr. Zhang Szechuan that was on Victoria ? @fmed The menu isn't really that big considering the many different Szechuan dishes that exist. 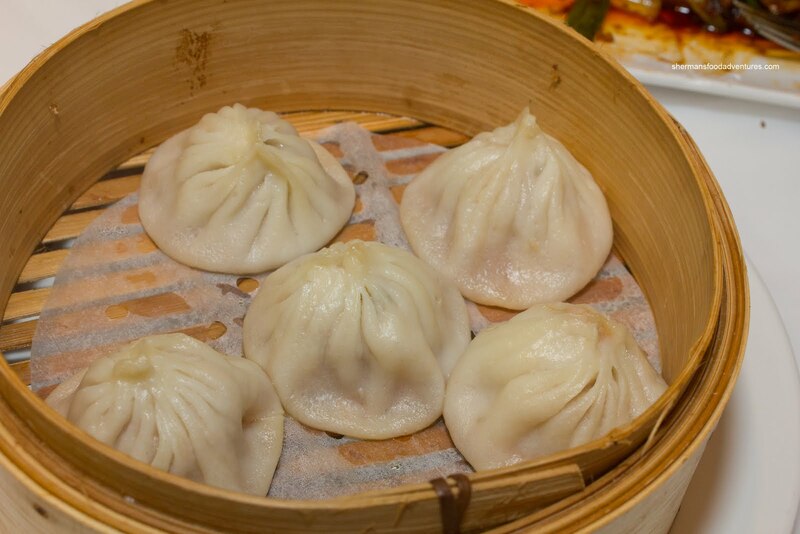 In terms of the Yelp review on the XLB, I guess personal taste is personal taste, but for me, in comparison to really good XLB, Mr. Zhang's doesn't cut it. You are right about the epicentre spicy food. I only wish my kids would eat it! You forgot to mention the most important thing..how was the karaoke? Did you or any customer partake in singing for the crowd?